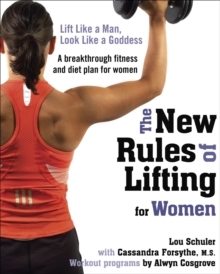 In "The New Rules of Lifting for Women", authors Lou Schuler, Cassandra Forsythe and Alwyn Cosgrove present a comprehensive strength, conditioning and nutrition plan destined to revolutionize the way women work out. All the latest studies prove that strength training, not aerobics, provides the key to losing fat and building a fit, strong body. 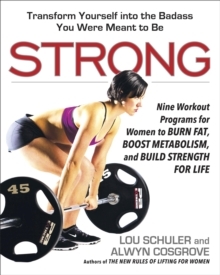 This book refutes the misconception that women will 'bulk up' if they lift heavy weights. Nonsense! It's tough enough for men to pack on muscle, and they have much more of the hormone necessary to build muscle: natural testosterone. 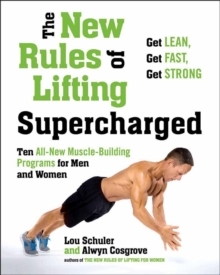 Muscles need to be strengthened to achieve a lean, healthy look. Properly conditioned muscles increase metabolism and promote weight loss - it's that simple. The program demands that women put down the 'Barbie' weights, step away from the treadmill and begin a strength and conditioning regime for the natural athlete in every woman. "The New Rules of Lifting for Women" will change the way women see fitness, nutrition and their own bodies.